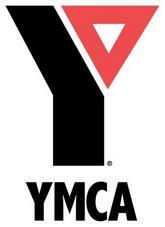 YMCA that stands for Young Men's Christian association is a privately owned organization operating worldwide. Present record says that the company has more than 58 million of beneficiaries from individual 125 national associations. The company was established in the year 1844 with the motto to spread Christian practices. The YMCA logo includes a red triangle that represents three main pillars of Christian faith that one needs a healthy body, mind and spirit. The first YMCA office was established in Quebec, Montreal in Canada by the founder father George Williams. YMCA is now incorporating different activities, along with spreading the Christian faith.